What makes a movie script get spotlighted as the best screenplay by award-giving bodies? A script that presents a story that can move an audience to a certain emotional aspect, with scenes and characters that stimulate imagination, which translate into verbal or gestured reaction. 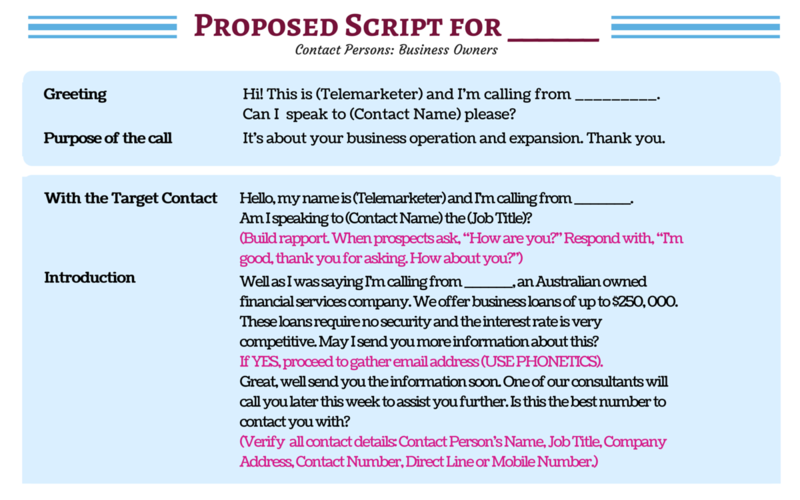 That’s how a Cold Calling Script should be. When writing a campaign script, one has to take note of the campaign’s main objective. Whether you are to gather factual information for a lead generation campaign, to book a prospect for an appointment setting campaign, or register attendees for an upcoming event, your script must contain keywords and substantial ideas that would stir up the prospect’s interest, otherwise, you’ll be putting all call efforts into waste. Terms from which industry your service/product belongs. If you are calling on behalf of a financial institution, choose words that are familiar to the prospect like loans, security & interest rate, annual turnover, etc. Assuring words or phrases like”sure”, “no worries”, “you are right”, can boost the prospect’s morale and would feel that his opinions and ideas are accepted. Meaty and persuasive. Your script must contain all the important information regarding your offering and how beneficial it would be for the prospect. The purpose of the call is the key to grab the prospect’s attention. “I’m calling about a new software that could lessen manpower but multiple production at a lower cost” – position a benefit so that you could get hold of the prospect’s interest to discuss further. Be keen to mention exact and correct details like a person’s name, company names and addresses, email information, phone numbers, rates and figures, date and time, product and service. Each campaign script is written based on the campaign type and its objective. The basic components may differ in formats depending on the person you speak with and campaign type. 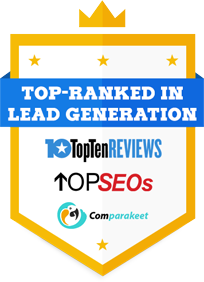 A simple lead generation campaign may require just a few important information from the prospect and often would not have probing questions in terms of budget and need. Most of this type is purposed to send whitepaper, conduct a survey, or profile contacts. 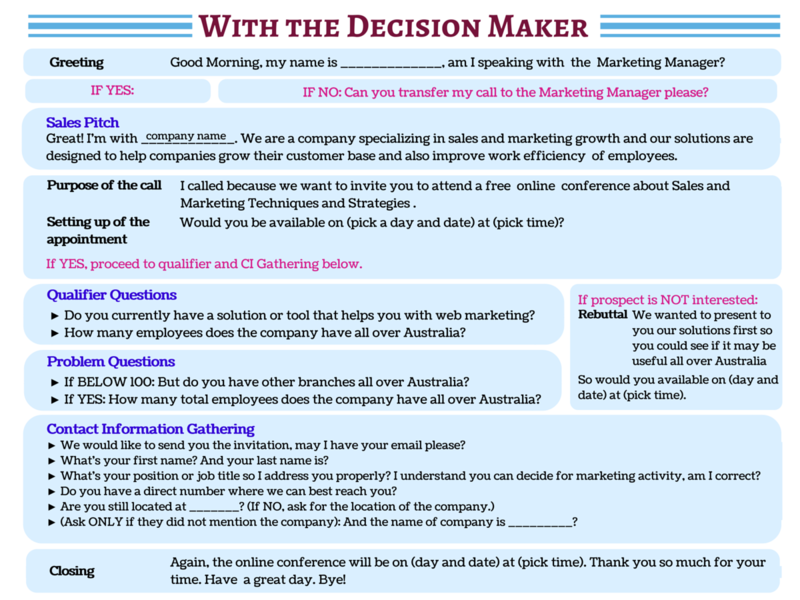 An appointment setting campaign’s objective is to activate the prospect’s interest to know more about the product or service, and agree for an office or phone meeting for a more detailed discussion. 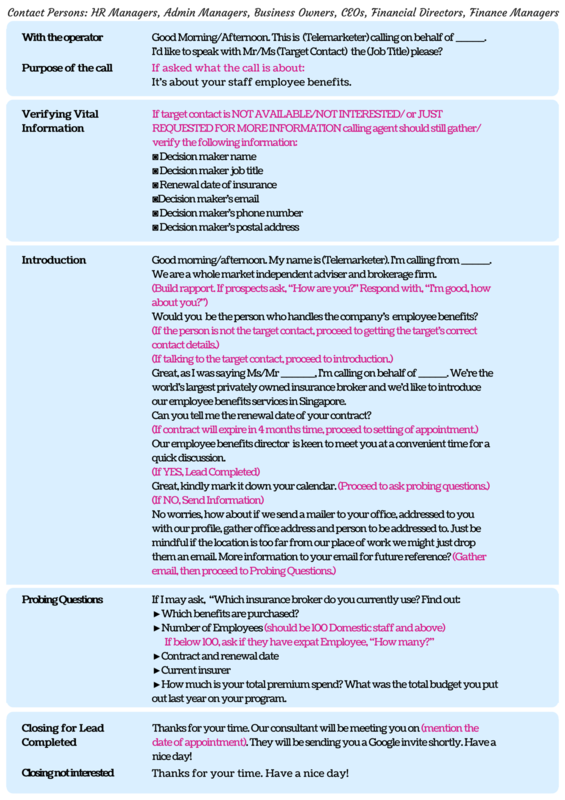 Criteria are set to qualify the prospect’s interest by asking probing questions. This type of campaign script contains assumptive clauses with possible rebuttals. Budget, need and timeframe are most common qualifiers. Related: What Appointment Setting Strategy Will Work For Australia? 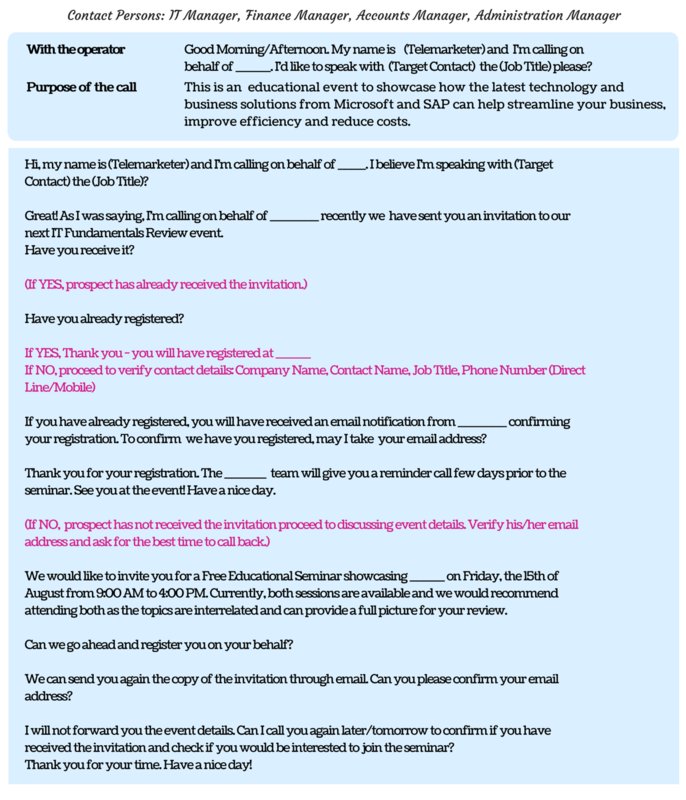 A call-to-Invite campaign script aims to gather attendees for an event. Event details, registration links and process are emphasized in the script. Get to know more about our events telemarketing services. A campaign script serves as a guideline in order for the agent to deliver the spiel smoothly and confidently. It may be most of the time very technical, but telemarketers have to be innovative and creative in delivering the details based on the script, to keep a professionally trusting composure. 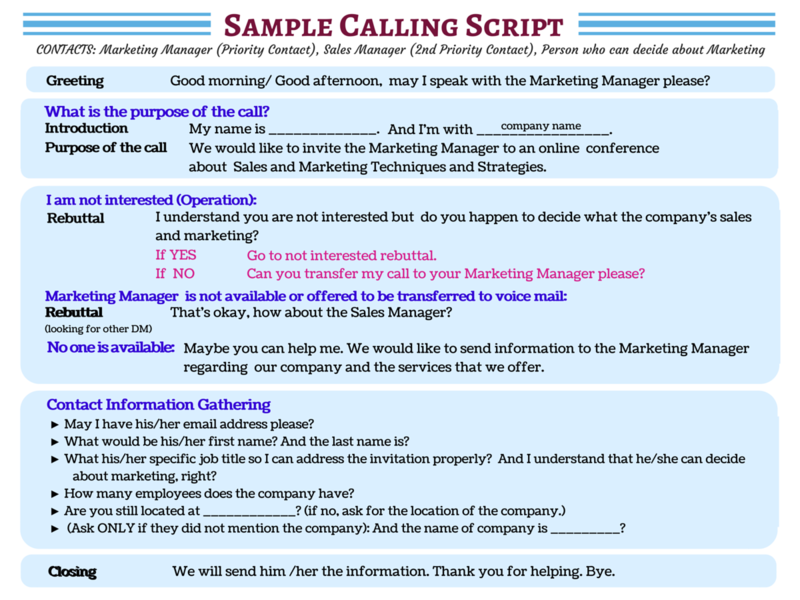 Takeaway: A cold-calling script must clearly and effectively describe who you are, your company, the product you offer and how it will benefit the prospect and his business. Keywords and ideas should be highlighted, that would leave the essentials in the prospect’s subconscious, translating their desire and interest into verbal or gestured reaction. That’s how a cold-calling script gets spotlighted. A WINNING SCRIPT and S.M.A.R.T Calling strategy is surely the BEST combo!